SCHNUPPERSCHAU (Olfactory Exhibition) #2: "In the Open Air"
While the first exhibition of the series explored the scents of the materials of art, we now shift our focus to the scents evoked by its contents. However, as the subject matter of art is very wide, we will do that in a couple of installments. First, we focus on figurative art, dividing its subjects roughly into indoors and outdoors, and tackling the outside first. Thus, while in the first exhibition the scents were part of the work or its means of production at some point (something that often doesn’t make it to the museum space), in the following ones the scents are part of the reality of the subject matter depicted visually (and therefore its non-visual properties can only be inferred). Thus, when an artist paints a landscape, s/he depicts the visual forms and color of the scene. But there are many other realities of the scene that can only be alluded to visually: the warmth of the sunlight, the feel of the wind, the smell of the fields, the hay, the cows, the sea, etc. These aspects of the reality of the scene are then reconnected in our imagination, built on previous experiences and olfactory memories. Such mental reconstructions are often as personal as the experiences and memories they are built upon. So that while most of us would experience the visual presence of a painting similarly, we each will reconstruct its sensual reality slightly differently and more individually. 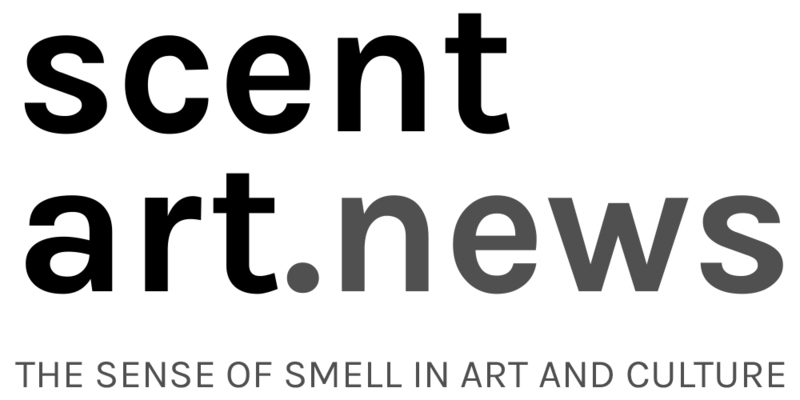 This project is curated by Ashraf Osman of Scent Art Net and Anja Seiler of Kunstmuseum Thun. It is an olfactory experiment, which re-examines Kunstmuseum Thun‘s collection, in various ways, through the curatorial lens of scent. It will continue after this exhibition with two more parts at Projektraum Enter in Kunstmuseum Thun. Tags: artistic perfumery, exploring sense of smell, Kunstmuseum Thun, Schnupperschau. Bookmark the permalink.